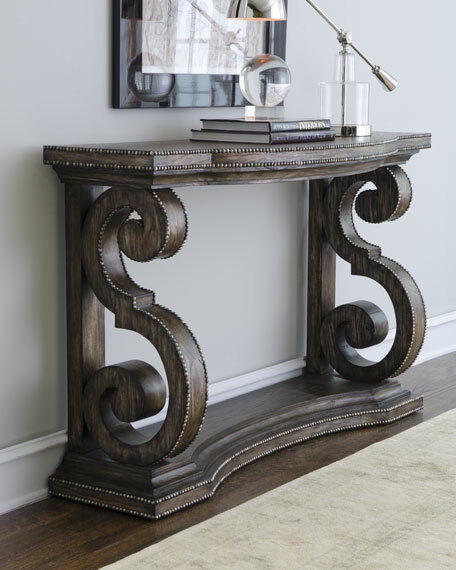 Ornately carved console makes a statement in any room. Use it in an entryway to collect keys and mail, or play up its decorative side by using it in a living area to showcase collectibles. 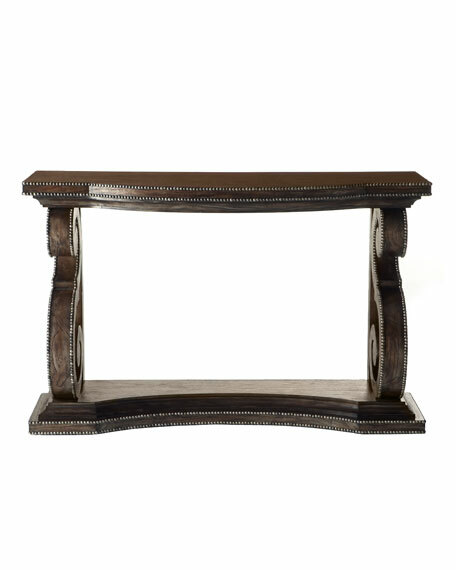 Handcrafted of mindi wood with a mahogany finish and antiqued nailhead trim. 56"W x 18"D x 36"T.